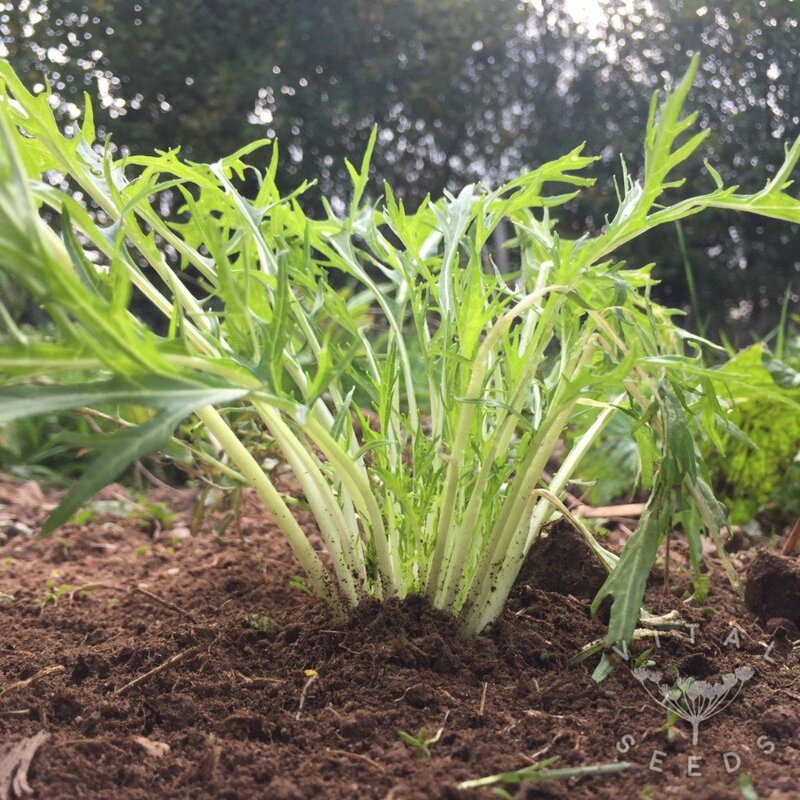 A variety of mustard greens, mizuna is a vigorous grower, producing an abundance of stalks with dark green deeply serrated leaves, very easy to harvest. 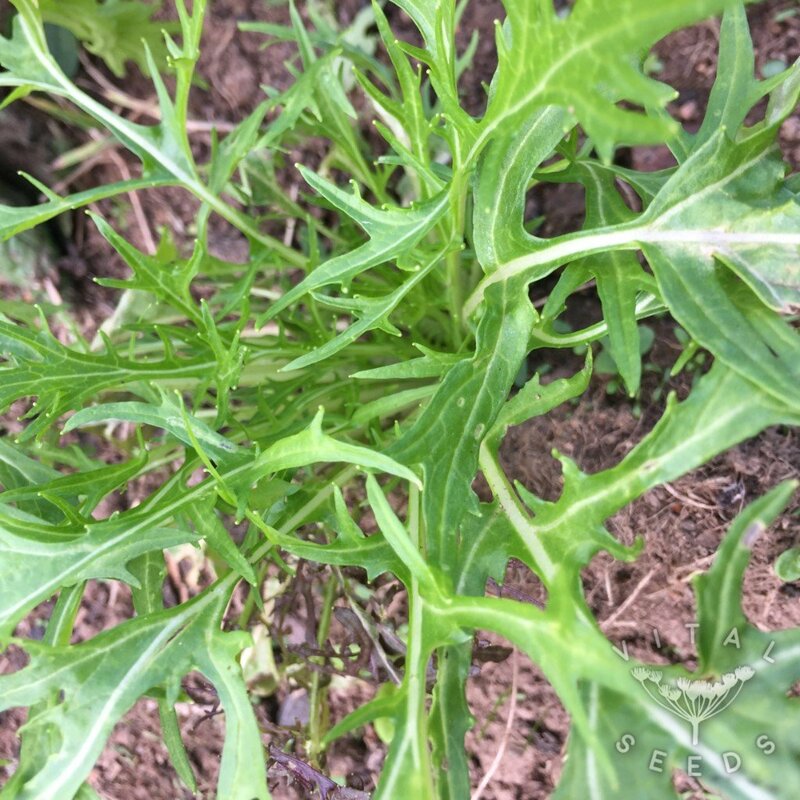 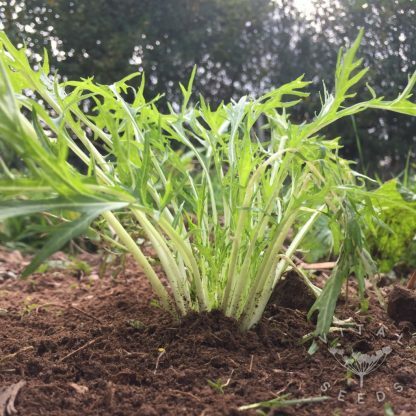 Mizuna has a mild piquant almost peppery taste and can be used raw in salads and also as a cooked green. 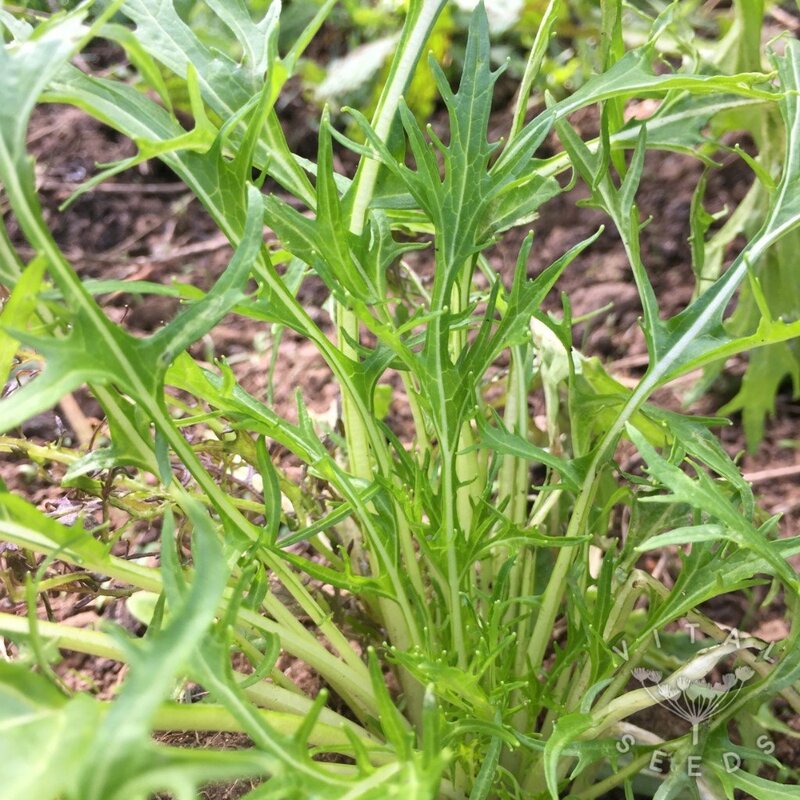 It is highly resistant to the cold and can be grown throughout the winter, making those cold, short days and long nights feel healthier and a little bit spicier! The pretty yellow sprays of flowers can also be a bright addition to a salad with the same mustardy hit.